Teen Justice!. Teen Titans have been Young Justified. 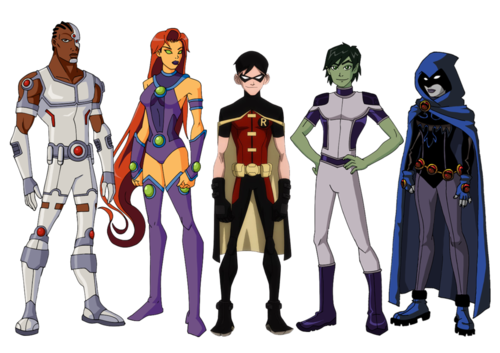 Wallpaper and background images in the Justicia Joven club tagged: young justice teen titans robin starfire beast boy cyborg raven. OMG!! BB IS A TOMGIRL! AND CYBORG LOOKS UGLY! !